I’ve been in a daze these last few days. I’m somewhere between complete serenity and a glass case of emotion. All of which is because of you Bryan Fuller and your gut-wreching, tear-jerking, cringeworthy, nothing short of beautiful, masterpiece that is Hannibal. I’ve come to find that most of my emotional experiences come from the books I’ve read. My imagination is given the ability to take the emotion to heart or leave it on the page. With television, you see the emotion right in front of you. That can either heighten your own emotions or it can lessen them. Words–and their ability to make us feel multiple emotions at once– tend to make me more emotional than the visual I usually see. However, this wasn’t the case with the series finale of Hannibal. The word spoken and their visual affect gave me one of the most visceral experiences I’ve had in a long time. I was thrown all around the emotional spectrum and I’ve just now found my way back. I experienced disgust, pain, self-realization (leading to self-actualization), fear, love and finally understanding. Understanding of the self, others, and the world around us. The story of the Red Dragon brought out the broad range the human being (and thus its psyche) has the ability to go through. The realization of just how much a person is capable of when put in the right circumstances. Just how far you’re willing to push yourself or let yourself be pushed. How close you can come to the edge and the sudden realization that there isn’t always a way back. And finding acceptance in that inevitability. Many of my emotions could have come from the basic knowledge that Hannibal is indeed over. Which I sure many of them did. After all, the final course has ended and the table has been cleared. But my cravings are far from subsiding. 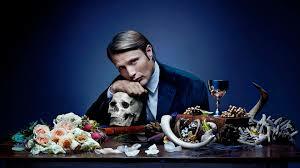 When I first started watching Hannibal, my initial focus became about the gruesome and the grotesque. How disturbing what I was watching actually was. But that’s not what has stuck with me through these 3 short years. Instead, Bryan, you’ve given me characters that I can’t get out of my head. The relationships they acquire and develop as the series goes on is what kept me coming back for more. Will Graham and Hannibal Lector. Two of the most real depictions of the vast range of humanity I’ve seen on tv in a long time. Their individual selves are complicated. But those complications are nothing short of human (whether morality and/or empathy is included in that depends on the individuals thought on what it means to be human). So human, in fact, that when asked to describe their relationship to someone who has never seen the show, I find it to be a massive feat. (Once I obviously stop gushing about the fact that they should immediately stop what they’re doing and watch it). The Will-Hannibal relationship is at many times indescribable. They love each other and they hate each other. They mistrust their trust in each other. They understand what is commonly misunderstood about each other. They put up walls against each other and yet they are laid raw in front of the other. Their honestly comes in fragments but those truths come together in the end. Because the simple truth is, at the end of the day, they need each other. They need each other, like they need air to breathe. Like Will needs his dogs and Hannibal needs his cutlery. Will and Hannibal are two individuals who have managed the incredible feat of becoming one with another person on multiple levels. Hannibal has taught me many things about the human condition in the most elegant, bloody and beautiful way possible. We all want to be needed. We all want to be understood. We all want to be accepted. Realizing you need someone isn’t necessarily a bad thing. If this needing leads to self-actualization in some way, maybe it’s the best thing for you. But please don’t misunderstand me Bryan, I have no naive misgivings about what’s really going on here. Will and Hannibal have time and time again destroyed each other. They relationship is nothing short of destructive. Hannibal is a murderer. He’s Hannibal the Cannibal. But Hannibal is also human. A human who has crossed over to the other side and doesn’t have a way back. Although I cannot say that he necessarily wants one. Will Graham is also human and has consistently struggled with his own becoming. As we all do, I suppose. These men aren’t the role models to seek out. But they represent a struggle that we, as human beings, go through on a daily basis. Discovering an understanding about ourselves in and of itself is difficult. But learning to accept, question, and come to terms with the things we’ve done, what we’re doing, and what we will do is a whole different beast. But this can lead us to who we really are, after it all. We all have our own journeys to take and Hannibal has taken me on a journey. A journey that I refuse to let end. Hannibal showed us human greatness and let us know that our capabilities are endless. Thank you, Bryan and your brilliant and effervescent team, for giving me everything I didn’t know I needed. I will continue to savor every second of it. What We Fear: Death or Humanity? If there’s one thing that I’ve come to realize over the years is that fear is nothing. Nothing until it comes to understand its full potential. Fear can change you, but only if you let it. Fear can also defeat you. It can tie you up so tight that you can’t even move your arms or legs. It can make you feel as though there is no escape. It can make you into something you’re not. But it can also compel you to do incredible things. Things you would never have even thought of doing. Some people think that it’s better to not show fear. They think that by doing so the fear isn’t real. But not showing fear or pretending it isn’t real does not mean you’ve overcome it. I come from a generation of desensitized children. We face more death, violence and cruelty than any other generation. It’s everywhere. It’s in everything. It’s right in front of our very eyes. I can’t even count the number of crime shows out there that deal with serial murderers, rapists, child abusers, etc. because there are simply too many. There are plenty of shows out there that basically state in the premise that “violence is the only answer”. They place us in a world that has become “kill or be killed”. These are the things that we see each and every day. We witness a never ending cycle of murder, violence and abuse. But here’s the kicker. Most of these shows are supposed to depict real life. If that’s the case, then we live in an world that should be one of outright fear. If this is our reality, then it’s not very bright. Is there no light at the end of the tunnel? Or are we just waiting to be consumed by a flesh-eating-formerly-human-monster? I’ve wondered what these shows are supposed to be teaching us. Are we supposed to be okay with gun violence? Racism? Sexism? Abuse? Murder? Sexual Assault? Or are we simply supposed to be afraid? I’ve been a fan of AMC’s The Walking Dead (created by Frank Darabont) since season 1 and that is one show that simply thrives off fear. Fear of death, dying, defeat, the dead and ultimately what is left of humanity and whether or not there is really anything human left. I’m aware that this show is not a complete depiction of real life and it’s not entirely like what the crime shows deal with. But the fear on that show is very real. No matter what world we’re living in, we fear the same things time and time again. It’s come to a point on the show (particularly this most recent season) that we’ve come to realize that the dead isn’t the only thing to be afraid of. Humanity is just as dangerous, if not more so. In a world without rules or laws, almost every single person is out for blood. Blood they have to spill in order to protect their own. In the world of crime shows, we fear humanity above all else. The human race is constantly trying to save what has been destroyed. In many of these shows you come across a human being who thinks that killing is the only way to save the greater good. Unmask what is haunting us and we can overcome it. But what happens when we start being haunted by what we see? A few weeks ago, I made a futile attempt to get into NBC’s Hannibal (created by Bryan Fuller). I got through to the first 5 minutes of season 1, episode 4 and I just could no longer stomach it. I tend to know when things will scare me, but I’m not always sure what. I have refused to watch any of the Hannibal films because I know I’ll be terrified and yet, I somehow thought I could handle the show. Thinking back on it, I wonder where my fear came from upon seeing two humans turned into angels. Was the decimation of another human being too disturbing to witness? Or was it witnessing what humanity is capable of what truly scared me? I’m not entirely sure. And yet, I still have the lingering feeling to go back and try again. To try and make it work. That being said, why is it much easier for me to keep watching The Walking Dead while I struggle with the desire to watch Hannibal? Is it the idea that Hannibal takes places in the present world, where as The Walking Dead takes place in a possible future? Either way, both shows speak to one major question. 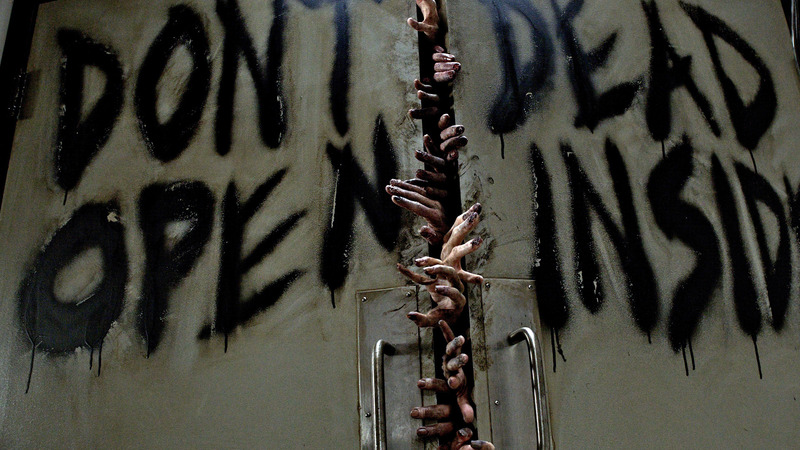 What’s truly more terrifying: the dead or humanity? Is it possible that once we find an answer to that question we’ll simply no longer be afraid? Look in the mirror. Does the person you see match the person you feel like on the inside? How much stock do you put in appearances? That’s what I see when I look in the mirror. I see expectations of myself and expectations from others. We expect a lot from other people. But why do we always expect so much from others? Why do we expect others to make us happy? Shouldn’t we have been expecting that? What if the person really isn’t different? But you’re the one whose different? What if you’re not the person you expected yourself to be? The mirror is not my friend. | Tales of a slightly stressed Mother! Daily Prompt: The New Me | A shot of espresso. Daily Prompt – Mirrored – The wisdom lines. | Its all about a bit of this and that. Reflection | Real Life Co.